PALPA, Nov 13: Investment in hotels in Palpa district has increased significantly in recent years. According to hoteliers, more than Rs 3 billion has been invested to open hotels in Palpa so far. Hoteliers say the hospitality industry has attracted investment of Rs 1 billion in past three years alone. Many new hotels are coming up in district headquarters Tansen and surrounding areas. Hotel rooms have increased five-fold to 1,000 in the past three years, according to Palpa Chamber of Commerce and Industries (PCCI). The hilly district is attracting both domestic and foreign visitors in recent years. Growing tourist footfalls have encouraged hoteliers to invest more. By providing quality service, local hoteliers have managed to retain tourists, who would have otherwise travelled to Butwal after visiting Palpa, in the district. Mukti Ram GC is busy constructing Hotel Taj Mahal near Tundikhel, Tansen. The hotel is expected to start operation after six months. GC believes that quality hotels will help to elongate tourist's stay in the district. "My hotel will be the first in the district to have elevators,” added GC. Likewise, Kamal Karki, the promoter of Hotel Crown, said that the investment in hospitality business will give good returns as the Siddhartha Highway, which connects Lumbini to Pokhara, passes through Palpa. “The under-construction Kaligandaki Highway and Gautam Buddha Regional Airport will bring more tourists to the district,” he added. Buoyed by tourism receipts, existing hotels and restaurants are also making big investment to give a makeover to their properties. Raju Maharjan, owner of Hotel Gaurishankar, said tourists visiting Palpa no longer need to travel to other districts looking for quality accommodation. Maharjan has invested more than Rs 70 million in his hotel. Hotel Gaurishankar has facilities like underground parking and conference hall, among others. 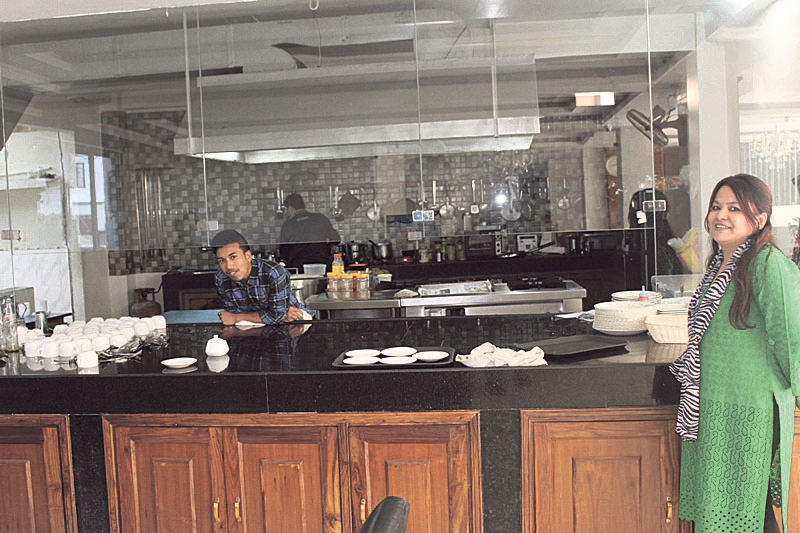 Hotels in Palpa have provided employment to around 3,000 people. Bir Bahadur Bucha, who operated Macchapucchre Hotel in the bus park area for many years, has started Hotel Royal with an investment of around Rs 30 million. Bucha said he invested in the new hotel as tourism in the district is flourishing. Similarly, Manoj Kumar Gupta is starting Hotel Diamond in the bus park area. The availability of conference halls means that the district can attract MICE (meeting, incentive, conference and exhibition) groups. Federation of Nepali Journalists held its central committee meeting in Palpa in September. Similarly, Lions Club had held its central program in Palpa last year. Not only in district headquarters Tansen, new hotels are coming up in Rampur, Chahara, Argali, Harthok, Aryabhanjyang and Tahu, among others.